Contractors for Austin Energy are trimming trees and removing fast growing invasive species that interfere with the transmission lines that run along the Union Pacific tracks. The work should proceed quickly, but crews will be in the right of way. 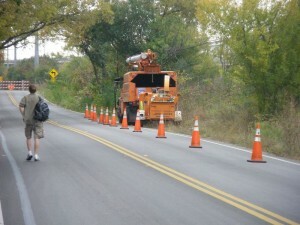 The necessary equipment will be in the street and bike lanes while the work is in progress. Drive with caution.